8 year old female vomiting black liquid - Please help! - This Forum is brought to you by The Mastiff Sweet Spot and Friends of the Forum. 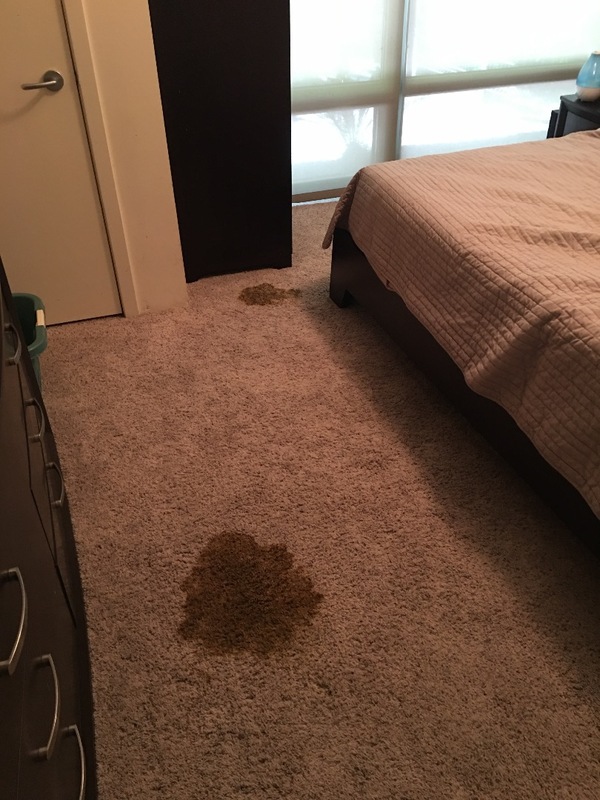 The Mastiff Sweet Spot > Topics > 8 year old female vomiting black liquid - Please help! Hello. 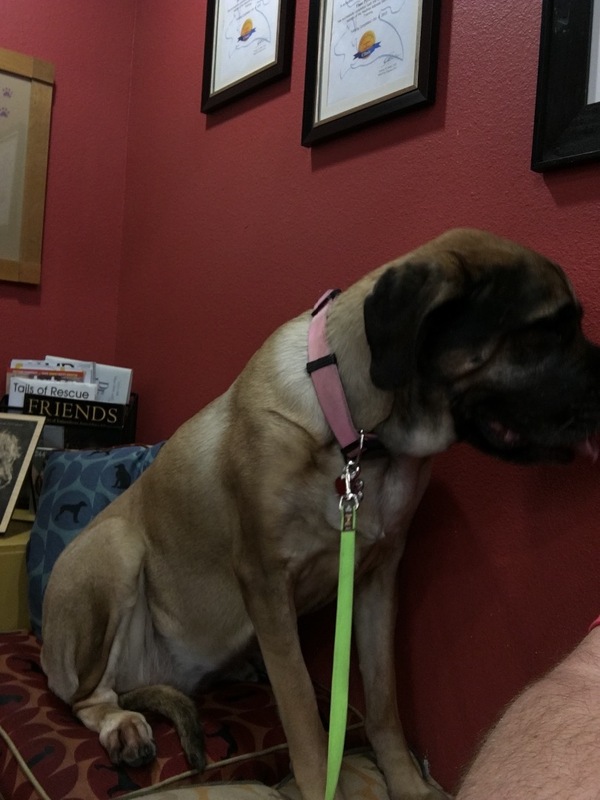 My 8 year old spayed female English Mastiff, Callie, has been having some stomach issues. She stopped eating and was vomiting a dark brown (almost black) fluid. I thought it was probably an obstruction, but my vet did X-rays and blood work and everything came back fine. He treated it as gastronuritus (sp?). He gave her anti-vomiting medicine, along with amoxicillin in case she got into something. He also had her take ceridiam. I was instructed to only give her bland foods like chicken and rice. I was able to get her to eat some rotisserie chicken, and she quit vomiting. I went out of town for the weekend, and my dog sitter said she ate plenty of chicken, and seemed fine and never got sick. She also never had a bowel movement. I got home on Sunday, and tried to feed her some chicken but she wouldn't eat it, but she did finally have a very dark brown, small firm bowel movement. At about 3am I woke up to her puking on my bedroom floor. Later in the day she vomited several other times and was not being herself. I left work and rushed her to my vet. 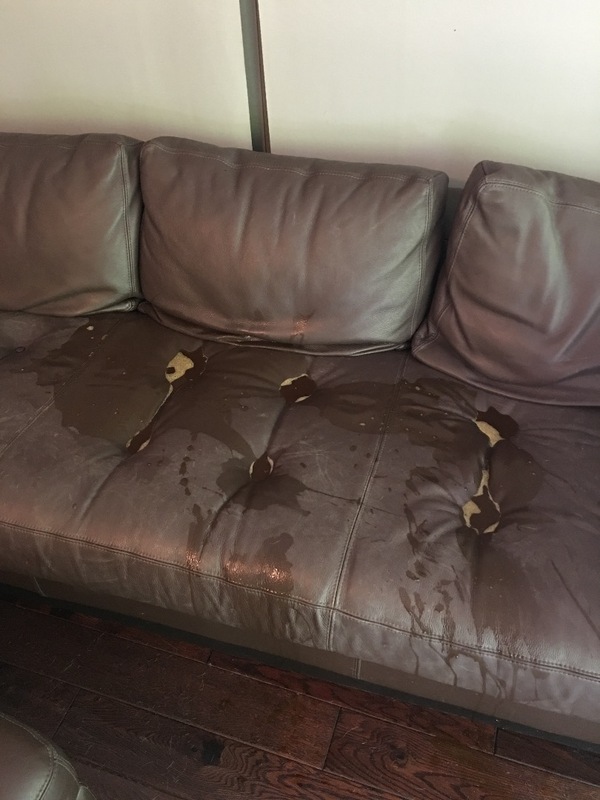 He said that the vomit was almost black because it had blood in it. During the visit with the vet, my cell phone rang and it was the HOA calling to check on my well being because they were getting complaints of a foul smell coming out of my condo. That's how bad it smelled when I got home to take her to the vet. I'm really worried about her. She was dehydrated so they gave her a saline shot, and sent me home with additional meds. She's scheduled to have a sonogram on Wednesday. I got a new rotisserie chicken for her tonight and she wouldn't touch it. I'm REALLY worried about her. She's lost 6 pounds in the last week and just isn't herself. Has anyone else experienced anything like this? Other than this, the only issue I've ever had with her was an obstruction when she was much younger. No other health issues and she's in great shape and still plays like a puppy. 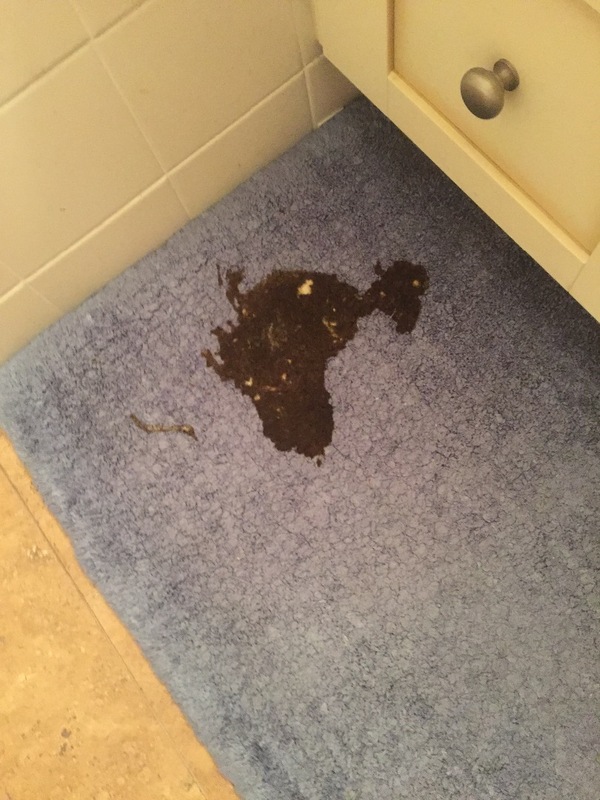 Sorry for the long message, and gross pictures but I would love to hear if anyone has experienced anything similar, and what you did. It's killing me to watch her go through this. Thanks in advance. I am so sorry to read of Callie's illness. My dogs that have had that type of illness have had cancer. When the tumor splits or as it grows it can cause bleeding and they throw it up just like a person does who swallows blood. I hope her testing is not showing that....what did you find out....another thing that can cause it is if they swallowed something like chicken bones or wood splinters, that have then perforated the bowel or stomach......prayers for your Callie.